We’d love your help. Let us know what’s wrong with this preview of Storm Surge by Sharron Riddle. When international private investigator, Jack Orten hires on to protect a businesswoman and her daughter from a serial killer threatening their lives, he discovers the killer is one of a number of genetically engineered assassins implanted into American society. As a CAT 5 hurricane rages ashore in the Tampa Bay area, Jack struggles to keep his feelings for Julie in check When international private investigator, Jack Orten hires on to protect a businesswoman and her daughter from a serial killer threatening their lives, he discovers the killer is one of a number of genetically engineered assassins implanted into American society. 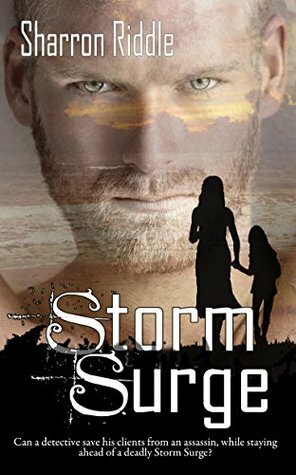 As a CAT 5 hurricane rages ashore in the Tampa Bay area, Jack struggles to keep his feelings for Julie in check and her young daughter safe while battling nature and an unstoppable monster. Trusting it all to family or love may not be enough to save them. To ask other readers questions about Storm Surge, please sign up. Sharron Riddle lives on the west coast of Florida with her husband and her spoiled dog, Dr. Watson. She loves reading almost as much as she does writing. She wrote her first story at the age of four. Once she began typing, she never stopped. Sharron loves all things scary, and shares her love of the macabre in her adult and young adult paranormal adventures.